Communication is key. This is why DART has been working hard to better communicate with riders. 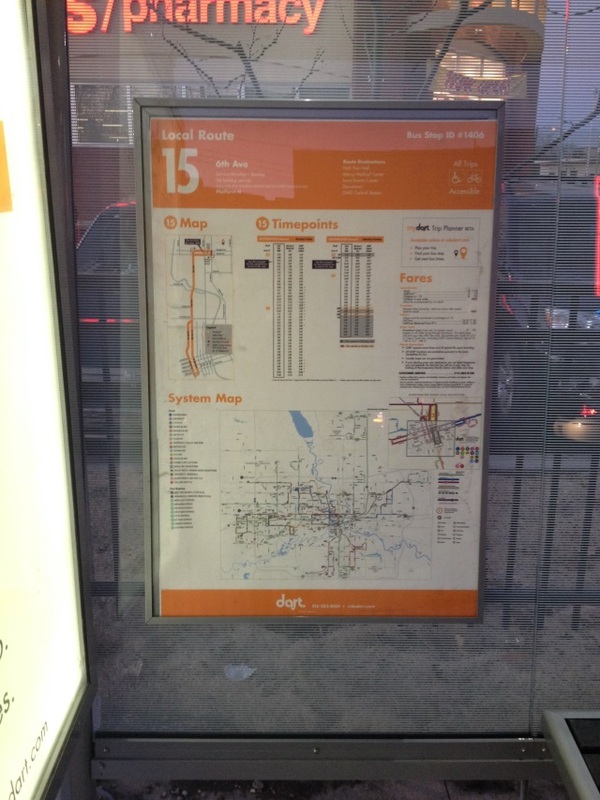 Route schedule and system information is now being installed in information panels at DART shelters all around the metro. Information displayed will include: map schedules for the route(s) that serve the shelter, a DART system map, fare information, and online trip planner information. 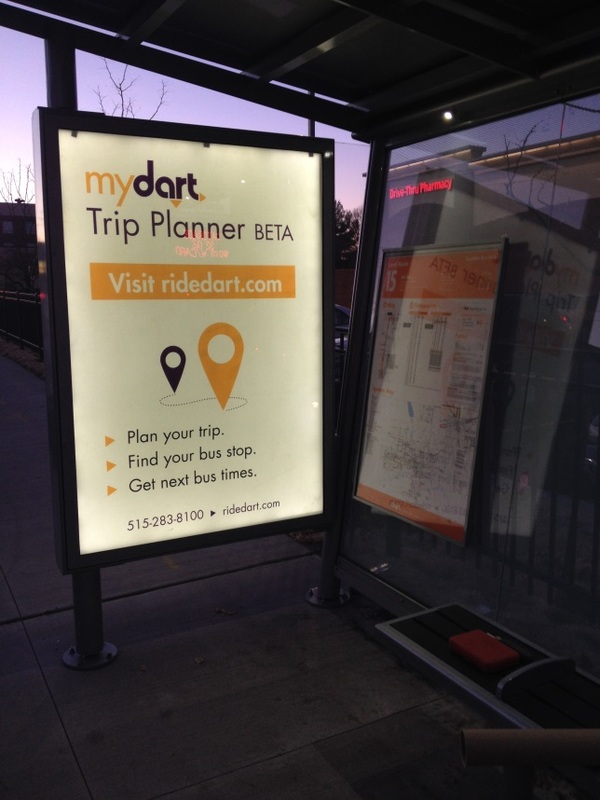 Other efforts have also been made to better inform DART riders, including the recent launch of the MyDART Trip Planner BETA, as well as route and schedule information being made available on Bing and Google Maps. This entry was posted in Bus Stops by DART. Bookmark the permalink.